');}//]]> LAUTECH Students Presents Award To Lecturer for His Outstanding Performance - Examexpo.com.ng – 2019 Waec Expo, Neco 2019 Expo, Jamb 2019 Expo. 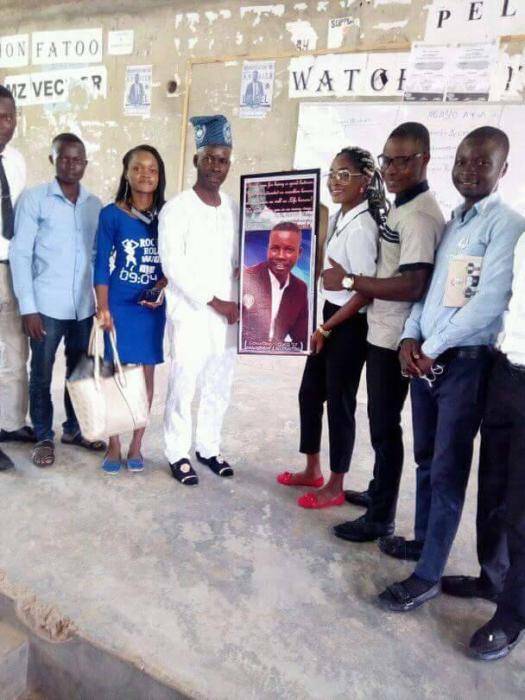 The Students of the Department of Management and Accounting, LAUTECH decided to put a smile on the face of one of their Lecturer identified as Dr. M.O Oladejo (popularly called “BABO”) for being an outstanding Lecturer. The students surprised him with the award presentation while he was Lecturing another Class. The students made it known that the award was given to him for his outstanding performance in the Department and Faculty. The lecture received the award with gratitude and prayed for them. 0 Response to "LAUTECH Students Presents Award To Lecturer for His Outstanding Performance"